A new study reveals that drinking low-calorie cranberry juice cocktail may help lower the risk of chronic diseases that rank among the leading causes of death worldwide, including heart disease, diabetes and stroke. To discover the extent to which polyphenol-rich cranberries can bolster whole-body health, researchers from the United States Department of Agriculture (USDA) provided eight weeks’ worth of meals to 56 healthy adult volunteers (average 50 years of age). 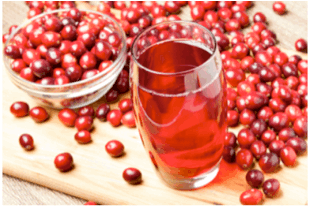 One group drank a glass of low-calorie cranberry juice twice daily. Meanwhile, the other group drank a placebo beverage with a similar colour and flavour. Researchers started the experiment by measuring blood pressure, blood sugar levels, blood lipids, as well as C-reactive protein, a marker of inflammation. The worse off these numbers are in the more likely an individual will face a health condition like diabetes, heart disease or stroke in the future. Individuals drinking two glasses of low-calorie cranberry juice a day improved across all these measures. It is a change that could be associated with a 10 percent lower risk of heart disease and a 15 percent lower risk of stroke. Of note, the reductions in blood pressure numbers alone matched those achieved from top-rated diets such as Dietary Approaches to Stop Hypertension (DASH), an eating pattern established as the gold standard for lowering blood pressure after several successful studies by the National Institutes of Health in the US. “These findings suggest that polyphenols help to protect our bodies, and may be adept at keeping a large number of ailments at bay,” said one of the leading researchers, Dr Christina Khoo from Ocean Spray. In addition to the cardiometobolic effects of polyphenols, cranberries also contain unique proanthocyanidins (PACs) that may help prevent certain bacteria from sticking inside the body. 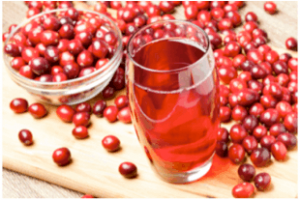 The findings by the team of USDA researchers that drinking cranberry juice could lower disease risk comes on the heels of supporting research that further espouses cranberry products as part of a healthy diet and balanced lifestyle. Two recent studies analysing four years’ worth of data from the US Centre for Disease Control’s National Health and Nutrition Examination Survey (NHANES), found that those who regularly drink cranberry juice are more likely to be normal weight, have significantly lower waist circumference and showcase improved heart health characteristics. US snack giant, Amplify, has acquired chip manufacturer, Tyrell’s.